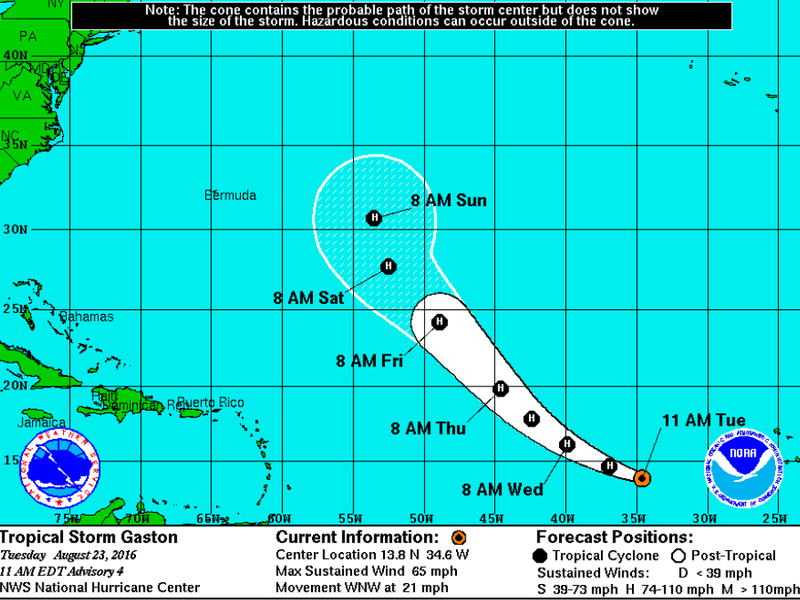 Tropical depression seven has become Tropical Storm Gaston in the middle of the Atlantic. While this storm, which was named late last night, isn't expected to get anywhere close to land, it could become the first major hurricane of the season. Through the next two day, Gaston is moving through warmer waters with very little shear and a moist environment — all ingredients perfect for growing a hurricane. As Gaston grows, Fiona is officially finished as that storm spins in the Atlantic far away from any land. Unfortunately, Invest 99L is currently headed for the Caribbean, and it could either strengthen or fall apart in the next couple of days. The National Hurricane Center is watching this one closely, giving it a 50-percent chance of becoming a tropical storm in the next couple of days. This system certainly has an uphill battle in the next week. It's moving through an area with dry air and shear — disruptive winds that can tear a hurricane apart. 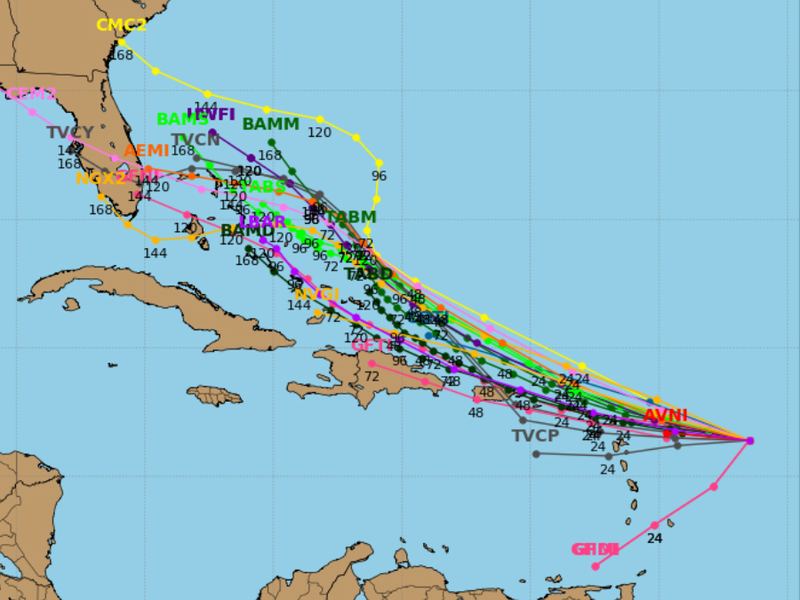 The storm system is also expected to move close to Hispaniola, and if it gets to close to the mountainous terrain, it could fall apart completely. However, if Invest 99L manages to overcome these odds, dodge most of the Caribbean and become tropical storm Hermine, Florida will be on high alert for an incoming tropical storm or hurricane. Regardless of what happens, the Bahamas and the northern Caribbean can expect heavy rains, and gusty thunderstorms through the rest of the week. It's just a matter of how bad will it get.